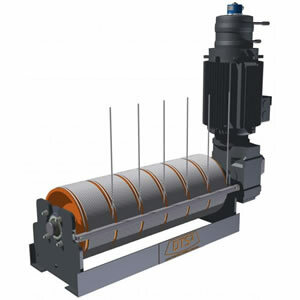 The DL-Winch consists of a horizontal drum with outgoing steel cables that are housed in a cable collector. The extremely robust steel frame absorbs all forces and has proven itself time and again under extreme conditions. The DL-Winch can be applied in a great variety of situations and is very versatile considering hoist loads and speeds. A speed of up to 2.0 m/sec with a maximum hoist load of 600 kg is possible. This winch needs enough room to compensate for the fleet angle of the outgoing steel cable. The technology – that has proven itself in real life – and the robustness of the DL-Winch guarantee a long operational life, a great reliability and at all times a flawless execution of your work. You are always assured of a safe operation of the DL-Winch, because it meets all standards in the area of hoisting installations in theatres (BVG – C1 standard). Furthermore the DL-Winch fulfils the legal requirements that apply in your situation, through the SIL3 safety standards. 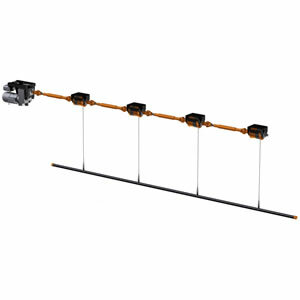 Our AV-Winch – AV stands for zero float (or fleet angle compensation) – is the ideal solution when there is in your situation not enough space above or behind the winch to keep the angle of the outgoing cables within the norms. It’s a remarkable feature of the AV-Winch that it can used vertically as well as horizontally. The AV-Winch excels in reliability and the noise and vibration levels are extremely low. Of course the AV-Winch meets all the requirements for hoist installations. 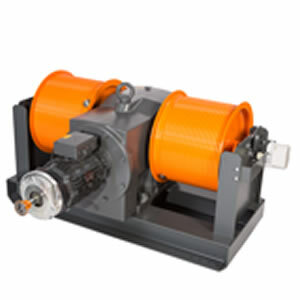 The AV-Winch consists of a drum that moves up and down the winch frame together with the drive. Because the outgoing cables are led over return wheels within the winch frame, the steel cables always run in a straight line from the drum. The winch itself compensates for the fleet angle as it were. The robust steel frame absorbs all ensuing forces. The very precisely engineered conducts in which the drums move, reduce noise and vibrations to an absolute minimum. The AV-Winch is very versatile in speeds and hoist loads. You can rest assured of the safe operation of the AV-Winch, because it meets all demands in the area of hoisting installations in theatres – the so called BGV-C1 norm. Together with the control system the AV-Winch forms an integrated and complete hoisting system that meets the SIL-3 safety regulations that apply in you situation. The AV-Winch can be equipped with advanced options to guarantee a smooth and perfect integration with the control system through feedback and monitoring functions. You can think of encoders to determine speed and position, temperature monitoring of the drive unit, monitoring of the brakes, slack cable detection and weight sensors. Those components will likewise be adjusted to your control system and will level up to the required safety demands. The sophisticated ZF-concept gives you the flexibility of a fully operational winch within a limited space. The flexibility in options of the AV-Winch maximizes the adaptability of the AV-Winch to every control system. You are never bound to a particular control system with this winch. 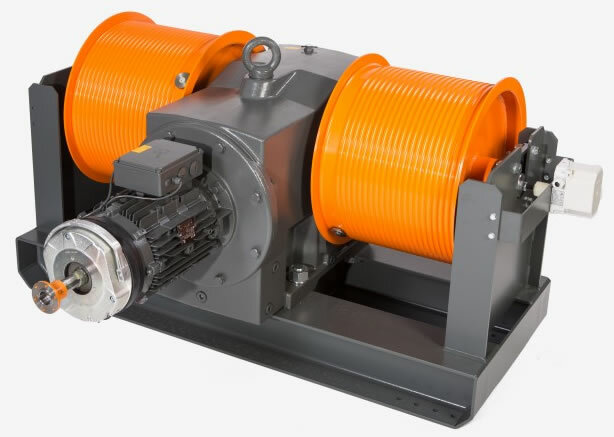 The robust and sophisticated AV-Winch has proven itself time and again under extreme conditions and guarantees a long technical life and great reliability, that result in a flawless operation. With the LLC300 DTS² developed the smart little brother of the traditional Zero float winches. Its design is slick, compact and revolutionary. Its performance is right up there – at the top. can boast of 6 connection points for the truss or the bar. The numbers speak for themselves: 2100 x 200 x 700 mm. Those are the dimensions of the LLC300. Its width of 200 mm allows you to equip your theatre with just one row of winches for your entire fly bar gallery. That is a huge saving of expensive space. And because the control system can be incorporated within the winch itself you can save even more. That is good news, especially for small and medium sized theatres. 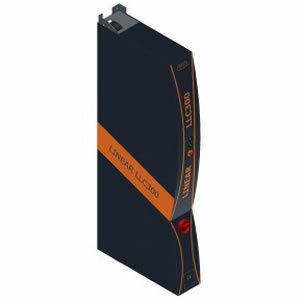 In itself the LLC300 answers to all safety regulations that apply to theatres. When equipped with double brakes, overload detection, slack cable detection and the like the winch meets the BGV-C1 norm. In combination with the proper control system you can reach SIL3 on the entire installation. The LLC300 is completely boxed in. 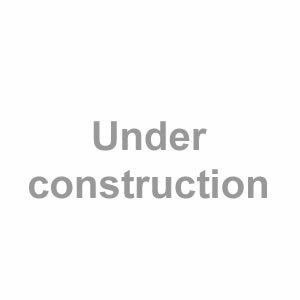 The casing is made of high grade plastic and is filled up with sound proof material. This reduces the noise to theatre level. 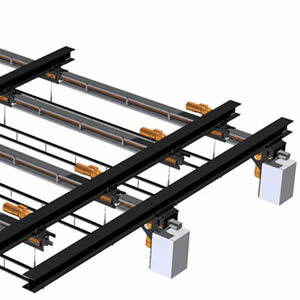 In addition the winch is uncoupled acoustically from the building construction, thereby eliminating vibrations within the building. An ideal replacement for manual fly bars. Ever thought of replacing your manual fly bar gallery? The LLC300 is the perfect solution. With its width of 200 mm it takes no more space than a manual fly bar. Which means that you can replace your manual fly bars in phases, thereby spreading your expenditures over time while you modernize your theatre. The LLC300 fits within your budget, of that we are sure. Ask our vendor for a price indication for your theatre. You will be pleasantly surprised by the price tag of this technological miracle. Our Line Shaft Winch – LSW – LS stands for Line Shaft – is the ideal solution for theatres that lack the space for a hoist loft or en engine room. Mounting the winch to the ceiling is relatively easy. Moreover, the standard working distance of 200 mm between the winches can be maintained! The SL-Winch stands out for its reliability and meets the proper norms for hoisting installations. Furthermore you can count on a practically torsion-free drive with excellent performance. The SL-Winch consists of a number of separate cable drums – one per steel cable – that can be rigged directly to the overhead construction. The smart design and the sophisticated construction allow for the standard maximum working distance of 200 mm between the winches. The cable drums are connected by drive shafts. The engine is placed on one side and the shafts are lined up so precisely that even with extreme point loads there is virtually no torsion exerted on the driveline. You can rest assured of the safe operation of the SL-Winch, because it meets all demands in the area of hoisting installations in theatres – the so called BGV-C1 norm. Together with the control system the SL-Winch forms an integrated and complete hoisting system that meets the SIL-3 safety regulations that apply in you situation. The SL-Winch can be equipped with advanced options to guarantee a smooth and perfect integration with the control system through feedback and monitoring functions. You can think of encoders to determine speed and position, temperature monitoring of the drive unit, monitoring of the brakes, slack cable detection and weight sensors. The smart and sophisticated design of the line shaft winch provides you with a great operational versatility (1.2m/s – 300 kg) in tight spaces. The innovative construction with driveshafts and onesided drive result in a virtually torsion free driveline. This guarantees a safe and accurate operation. The broad range of options makes that you obtain a perfect fit between the winch and the control system that you choose. Because the SLV300 can travel freely to every position on the grid you need far less winches than you normally do. You only buy the winches that you are actually going to use every night. Moveable load. In practice this means for instance that you can hang up the lights and then move them in the right position. No more laborious conversions of scenery from one winch to another. The flexibility in options of the SLV300 maximizes the adaptability of the AV-Winch to every control system. You are never bound to a particular control system with this winch. DTS² has decided that, based on our own requirements the quality of the chain hoists we deliver have to be the best possible. 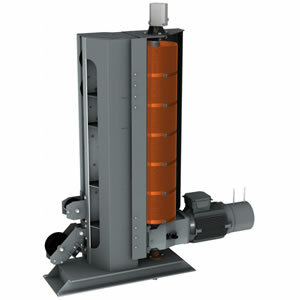 With that in mind we committed ourselves to a cooperation with the manufacturerof the Liftket and Stageket chain hoists. 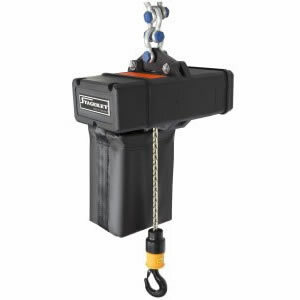 These chain hoists stand for quality in design, materials and fabrication. A rigorous testing protocol during and after manufacturing makes for the highest quality in the field of chain hoists.